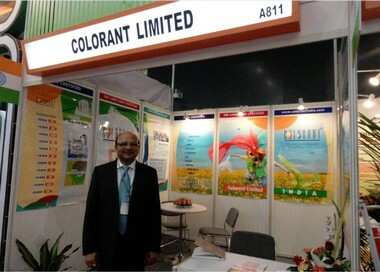 This was COLORANT’s 9th consecutive presence in this prestigious exhibition. Colorant Limited – an ISO 14001:2004 & ISO 9001:2008 Company based at Ahmedabad – participated in the China International Dye Industry, Pigments and Textile Chemicals Exhibition, which was held at Shanghai World Expo Exhibition & Convention Center [April 11 – 13, 2012]. Interdye China is one of the major events for Global dyestuff Industry. All captains of the industries participate as exhibitors in this event. This was Colorant’s 9th consecutive presence in this prestigious exhibition. China is a huge country in terms of the manufacture of dyes, dyeing and printing and textile articles and also the consumption. The whole world is showing more and more concern for the dyestuff and textile industries in China. As the future center of international economy, finance, trade and navigation. Shanghai is the most ideal stage for the industry to put on shows like the Interdye. This year again China occupied more than 80% space through its strong contingent of 368 exhibitors. 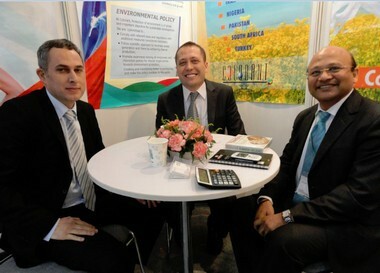 India was second through its 53 exhibitors under the banner of ‘Indian Pavilion’ organized by Chemexcil. 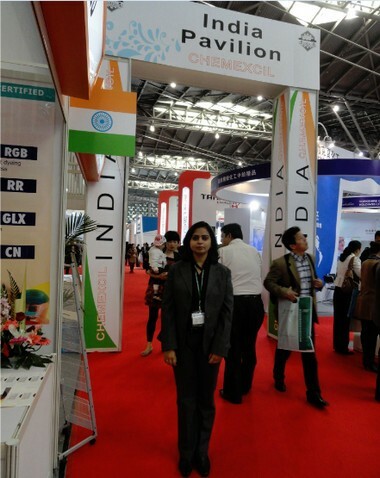 Perhaps this was the strongest presence by Indian companies in Inter dye China or any such International event. Germany, Korea, Netherlands, USA, Japan, Switzerland, Spain, Singapore, Italy, UK also participated in this exhibition. Technical seminars were also organized during the exhibition which provided a platform to showcase new products and processes for textile and allied industry. The topics of seminar were eco certificates, pigments & master batches, finishes & performance chemicals. The booth of Colorant was visited by a large number of delegates from countries like Indonesia, Pakistan, Bangladesh, Turkey, China, Korea, Brazil, Taiwan etc. Colorant highlighted its strength in the field of reactive dyes through its GOTS certified series of “Colron” reactive dyes. The response was encouraging. The show concluded on 13th April, 2012 with a thumping success. The 13th Inter dye is scheduled for April 17-19, 2013.